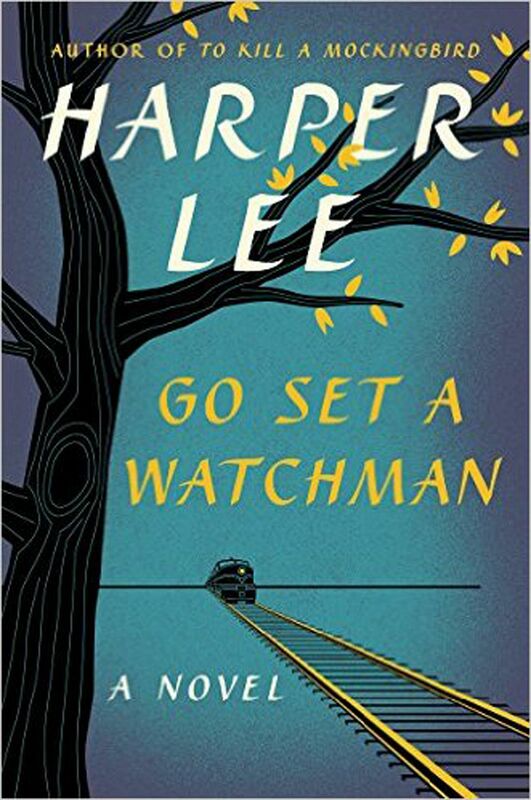 • NEW YORK • The biggest bombshell of Harper Lee's new novel Go Set A Watchman is an explosive plot twist that no one saw coming. Atticus Finch - the crusading lawyer of To Kill A Mockingbird, whose principled fight against racism and inequality inspired generations of readers - is depicted in Watchman as an ageing racist who has attended a Ku Klux Klan meeting, holds negative views about African-Americans and denounces desegregation efforts. "Do you want Negroes by the carload in our schools and churches and theatres? Do you want them in our world?" he asks his daughter, Jean Louise (the adult Scout), in Watchman. The revelation will probably alter readers' views of Mockingbird, a beloved book that has sold more than 40 million copies globally and has become a staple of high-school curriculums. It could also reshape Lee's legacy, which until now has hinged entirely on the outsize success of her only novel, published 55 years ago. It is also certain to spur debate about the character of Atticus and his moral integrity in Mockingbird, which made him a cultural icon whose influence transcended literature, inspiring generations of lawyers, teachers and social workers. "Whether you've read the novel or seen the film, there's this image you have of Atticus as a hero and this brings him down a peg," said Mr Adam Bergstein, an English teacher in New York whose 10th- and 11th-grade students read Mockingbird. "How do you take this guy whom everybody looked up to for the last 50-plus years and now he's a more flawed individual?" In this version, Atticus is 72 years old, suffering from arthritis and stubbornly resistant to social change. He stands in sharp contrast to the gentle scholar in Mockingbird, who tells Scout, when explaining why he has gone out on a limb to defend a black man, that "I do my best to love everybody". We grew up looking up to this character and a lot of my friends are saying, ‘I’m not reading it, I want Atticus to remain the Atticus that I adore’. In Watchman, which comes out tomorrow, he chides Scout for her idealistic views about racial equality: "The Negroes down here are still in their childhood as a people." After the initial shock, some writers and literary critics see added value in a more complex and flawed version of Atticus. If Mockingbird sugarcoats racial divisions by depicting a white man as the model for justice in an unjust world, then Watchman may be like bitter medicine that more accurately reflects the times. "If Atticus Finch is not quite the plaster saint that he is in To Kill A Mockingbird, there could be something rich and fascinating about that," said Thomas Mallon, a novelist and critic, who had read only the published excerpt from Watchman. "The moral certainties in To Kill A Mockingbird are apparent from the first page and, in that sense, I don't think it's a great novel that deals with the tormenting questions of race in America, but maybe this new one is, if it's more nuanced." Racism, inequality and the persecution of minorities in the United States have again surfaced in the national conversation. Last week, the South Carolina Legislature took down the Confederate battle flag from its State House grounds after days of emotional debate. Protests have erupted around the country after police shootings of unarmed black men. Watchman, which was completed in 1957, is landing in the middle of the debate, like a literary artefact out of a time capsule from a period when the country was divided over many of the same issues. "We could turn this into a plus in our national conversation about racism and the Confederate flag. It turns out that Atticus is no saint, as none of us are, but a man with prejudices," said Charles J. Shields, author of Mockingbird: A Portrait Of Harper Lee. It is unclear why Lee set aside Watchman - a blunt and unsparing look at a young woman's disillusionment at the racism that permeates her hometown and her family - to write Mockingbird, a more palatable coming-of-age tale. Narrated by a precocious, observant child, Mockingbird features characters who fall neatly into camps of heroes and villains. Gregory Peck's portrayal of Atticus in the 1962 film is an enduring symbol of a righteous lawyer and model parent. Was the original manuscript too politically explosive for the period, too sharp a reflection of the civil rights battles brewing at the time? Since Lee's original editor Tay Hohoff died in 1974 and Lee has shunned interviews for decades, the question will probably remain unanswered. As the first reviews of the novel were published last Friday, some Mockingbird fans were so disheartened by the revelation that they said they were reluctant to read the new book. "It feels very personal to a lot of us," said 54-year-old Jamie Harding, who lives in Alabama. "We grew up looking up to this character and a lot of my friends are saying, 'I'm not reading it, I want Atticus to remain the Atticus that I adore'." Ms Tara Xanthopoulos, who teaches high school English in New York, said when she read reviews of the book, she felt queasy. "This has been my favourite book of my whole life, from when I was a student to being a teacher," she said. "It's sad to think that Atticus' character is going to be tarnished." Lee's publisher, HarperCollins, said there was never a discussion of toning down Atticus' racist remarks to preserve his moral image. "Harper Lee wanted to have the novel published exactly as it was written, without editorial intervention," Mr Jonathan Burnham, publisher of the HarperCollins imprint Harper, wrote in an e-mail. "By confronting these challenging and complex issues at the height of the civil rights movement, the young Harper Lee demonstrated an honesty and bravery that makes this work both a powerful document of its time and a compelling piece of literature." Professor Karla F.C. Holloway, a lecturer of English and law at Duke University, said the new version of Atticus may lead people to reread Mockingbird more closely. "It will force an interesting conversation about - if this is really Atticus - what have our own desires done to the character and what is the literary truth?" she said. "This is who we want to be as a country, but this is not who Atticus was."